Trying to take the temperature of how teaching and learning is going is no simple task. 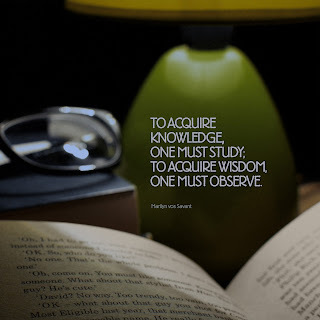 This is mainly because there are many proxies for learning and that learning takes place over long periods of time, rather than within observable, neat chunks. This post has come about after a conversation with my brilliant colleague Mark where he wondered how we could get rid of lesson observations all together. 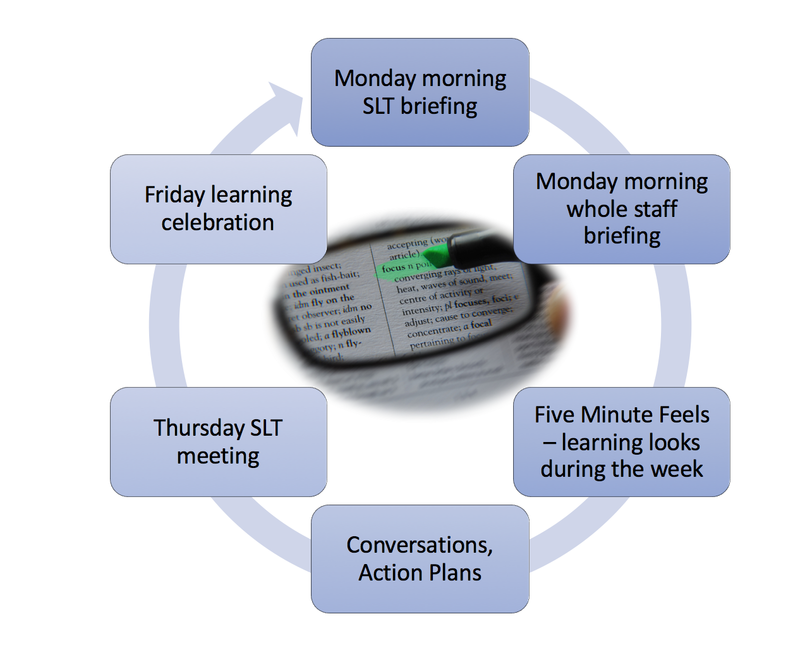 Whilst the measurement of lesson performances has always been bonkers, there is a need to check the quality of what goes on around school so that senior teams can support and stretch teachers. Indeed, monitoring is important in order to support high quality teaching and learning. Personally, I think the main mistake made when looking in on lessons is that the observer focuses on the teacher rather than the student. This causes teachers to perform when someone drops in, when they should perhaps create moments where conversations with the young people can be had. Anyway, here is a suggestion of what a learning look model could look like that could be adapted for a department or faculty level. This post isn’t going to discuss what constitutes good learning, just a mechanism for opening up conversations. By having a common focus and good communication it becomes easier to find out what is going on, all as part of an approach where staff and students are encouraged to behave in exactly the same way regardless of who is popping in. Finally, through visiting schools through local authority and Challenge Partners reviews, it’s vital that claims made by the Headteacher actually stack up in the classroom. For this to be the case, senior leaders should be in classrooms as much as possible, especially to see whether the practicalities of policy actually works. One change I like this year is that our Head (never thought I’d see him on Twitter) has introduced a Monday morning briefing. Not only does this mean that I can eat the left over tea and toast (my office is embedded in the staff room this year) for breakfast, but the information given can look ahead. This is where the focus for the week can be shared. There shouldn’t be any surprised and it’s not about catching people out but finding the bright spots and figuring out where support and stretch is needed. The focus shouldn’t be anything new and allows a focus to be on one area. For example, a school may want to keep the spotlight on behaviour for learning. Look through their books and ask questions about the work and the feedback. Keep focused on the focus. Of course, if a major concern crops up it shouldn’t be ignored, but they are rare. Speak to other adults in the room. Basically, don’t be a passive observer. Take part in the lesson, acknowledge the teacher, try out the learning activities, help sort out and troublesome students. The time spent in the classroom doesn’t have to be limited to five minutes. One aspect of our school’s learning looks is that we give out postcards to students who have impressed. I’m also pleased that we are using a handheld device to record the learning walks. This allows us to collate the information, spot any patterns and make decisions that are informed by data. The setup also emails out the responses to the teacher concerned. Finally, it’s important to ensure all teachers get seen, and that certain teachers don;t get seen too much. You know the ones: all visitors to the school are taken in. Oh, one last thing, include tutor time in the learning looks. If I returned in four weeks, would Child A’s work be of the same quality as other students? What effect would targeted questions have on PP students? Although our new Thursday SLT meetings will make getting to TeachMeets challenging, it’s a time to look at the information being collected and have an informed conversation about the focus. Are changes needed? Do we need to take a closer look? Here, just like May’s workers in the boardroom, it would be good to gather teacher voice. I’m pleased that our Head has expanded the SLT to include the leaders of English, Maths and Science but, and vital in the era of Progress 8, other subject areas also need to be included. In particular those subjects where contact time with each class is low. Indeed, we should consult the artist and historian with 19 classes on policy. Anyway, I’d welcome feedback on this, especially whether it would work in different contexts such as primary schools. Quote image credit found via Flickr. Focus image credit found via Flickr. What is the most important aspect of school leadership?